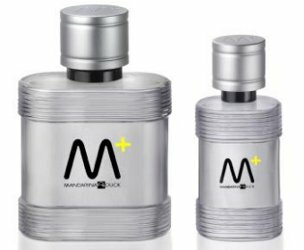 Mandarina Duck has launched M+, a new fragrance for men. The new MANDARINA DUCK M + is designed for the man who strives for success in everything he does. Like the brand, he is always seeking new challenges that test his limits. He knows that victory comes as a result of hard work and nothing will keep him down. He throws all his passion into achieving his goals. He is ambitious and always wants more: more time to enjoy life, more travel, more friends, more money. More success. Because he knows that the world belongs to those who succeed. M+ was developed by perfumer Véronique Nyberg; notes include citron, grapefruit, lavender, black pepper, iris, violet, cedar, amber, tonka bean and vetiver. Mandarina Duck M+ is available in Eau de Toilette Intense duo packs (each with its own travel sized bottle): 100 ml + 30 ml; 50 ml + 30 ml; or 30 ml + 10 ml. Hee, hee. All of the “more” statements remind me of Samuel Gompers.